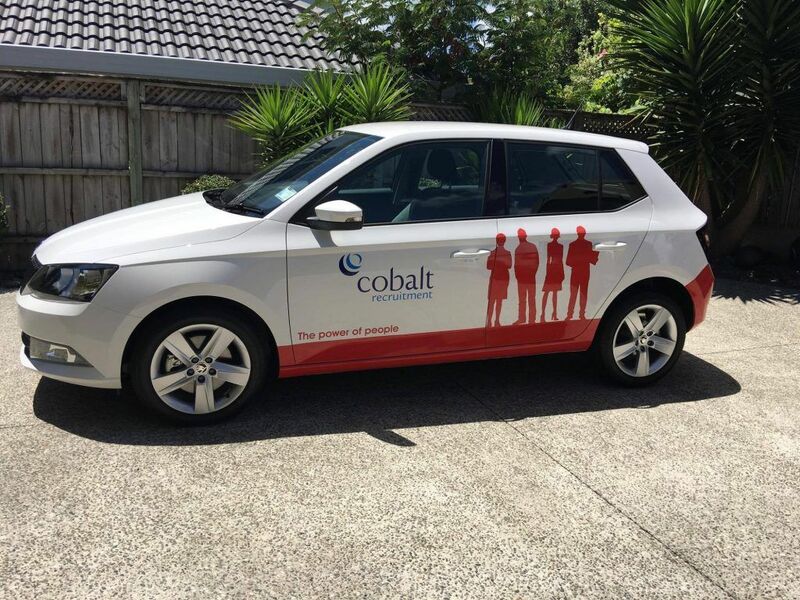 Design and partial wrap of the Cobalt Recruitment Skoda Fabio. Looks Fab and The client was happy too! “Hi Christine.Yes thanks so much for the work on the car- It looks fabulous! The sizing and placement is perfect.